van Halder, Y, Sanderse, B, & Koren, B. (2018). 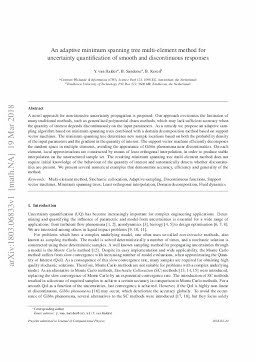 An adaptive minimum spanning tree multi-element method for uncertainty quantification of smooth and discontinuous responses. arXiv.org e-Print archive.